Workshop size is limited, please make a reservation at dchm@nyhistory.org. Celebrate Father’s Day with a special family workshop all about games – parents and kids learn about historical games and build their own video game prototypes. A New-York Historical Society educator will lead families with children between ages 7-12 through galleries and behind-the-scenes to view different toys and games in the collection. There will be a focus on how these games reflect certain eras, changing values, important events and achievements, and even daily life. Participants then move into the classroom for an interactive experience with an educator from the innovative research and development company, PlayScience. The group will learn the basics of game design and work together to develop unique video game paper prototypes. 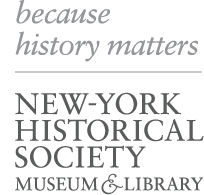 Workshop size is limited, please make a reservation at dchm@nyhistory.org.